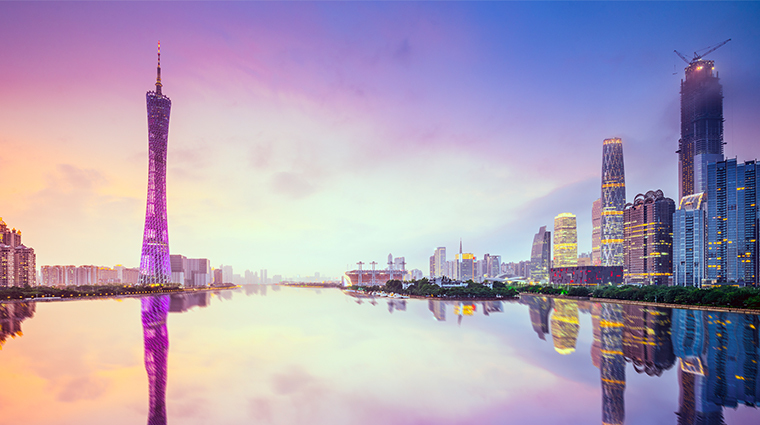 Located about 80 miles northwest of Hong Kong, Guangzhou is the biggest city in mainland southern China and one of the country’s most overlooked destinations. The region’s main manufacturing hub and home to a growing (if not still relatively infant) dining and arts scene, China’s third-most populated metropolis has a skyline dominated by the imposing 112-story Canton Tower, which has the distinction of being both the world’s largest TV tower as well as having the highest horizontal Bubble Tram on the planet. Shopping opportunities abound at a number of glitzy megamalls and jam-packed street markets, while traveling foodies will find this sprawling city an excellent destination for sampling a variety of authentic Cantonese cuisine. Still largely passed over by Western tourists, Guangzhou is clearly a city on the rise.